Louis Wilson is the Managing Partner of the Melbourne office. He regularly assists employers on a wide range of matters, from providing advice and guidance on day-to-day labor and employment law issues to representation in complex employment litigation matters. 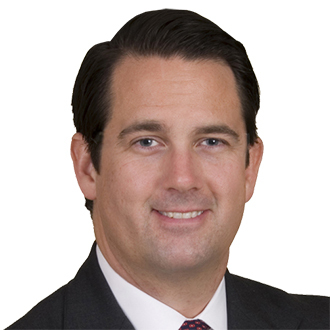 Over the course of his legal career Louis has advised and represented clients involved in a variety of industries and sectors, including companies involved in the financial services, healthcare, hospitality, manufacturing, restaurant and retail industries, as well as a number of public employers and government contractors. He is a member of the firm's Global Legal Services practice group, as well as its Healthcare and Restaurant practice groups. Earlier in his career Louis was an attorney in the labor and employment practice group of a large international law firm based in New York City where he worked extensively with employers on a variety of labor and employment matters, including complex corporate restructurings and mergers and acquisitions. He also spent several years in London, England where he qualified as a solicitor in England and Wales and studied UK employment law. While in law school, Louis served as an Articles Editor for the George Washington University Journal of International Law and Economics and was a member of the George Washington University Law School Moot Court Board. Assisted clients in various industries with resolving FLSA claims in federal and state courts and in connection with U.S. Department of Labor audits. April 27, 2015 - "FordHarrison names Melbourne-based attorney Louis Wilson as Partner"